﻿ Primi Royal Hotel Cape Town. JIMAT di Agoda.com! Menawarkan penginapan yang berkualiti tinggi di daerah siar-siar, restoran, pantai di Cape Town, Primi Royal Hotel merupakan pilihan popular untuk kedua-dua tujuan perniagaan dan percutian. Dari sini, tetamu boleh menikmati akses mudah kepada semua yang bandar meriah ini boleh tawarkan. Persekitaran yang terjaga dan kedudukan berhampiran dengan Gym on the Bay, Theatre on the Bay, Camps Bay Beach memberi hotel ini daya tarikan istimewa. Ambil kesempatan daripada pelbagai perkhidmatan dan kemudahan yang tiada tandingan di hotel Cape Town ini. Hotel ini menyediakan akses kepada pelbagai perkhidmatan yang luas, termasuklah khidmat bilik 24 jam, Wi-Fi percuma semua bilik, Wi-Fi di tempat awam, tempat letak kereta, khidmat bilik. 10 bilik di sepanjang 4 tingkat menyediakan suasana nyaman dan menyenangkan. televisyen skrin rata, ruang tamu asing, internet wayarles, internet wayarles (percuma), bilik larangan merokok boleh didapati di beberapa bilik. Sama ada anda peminat kecergasan atau hanya mencari cara untuk bersantai setelah seharian bekerja, anda akan dilayan oleh kemudahan rekreasi kelas tertinggi seperti padang golf (dalam jarak 3 km) , kolam renang terbuka, rumah urut. Primi Royal Hotel adalah destinasi sehenti anda bagi penginapan hotel berkualiti di Cape Town. Some basics expected from 4 star grading not found eg hairdryer. Suite was spacious and balcony had a good view . Place is more 3-3.5 star. Staff are great and accommodating. Bathroom was very basic and water shortage measures are still in place and overblown for the current restriction levels . We stayed 3 nights at Primi Royal Hotel. I wish we stayed longer. Our room size was perfect. There are 10 rooms so hotel is not that busy. Location was perfect, close to Table mountain and the V & A Waterfront. Our breakfast was delicious. You can order anything and they will make it, including a lovely cuppacino after breakfast. Early evening we would walk down to Camps Bay and have dinner, there are quite a few restaurants to choose from. I will definitely rate this 5 star. 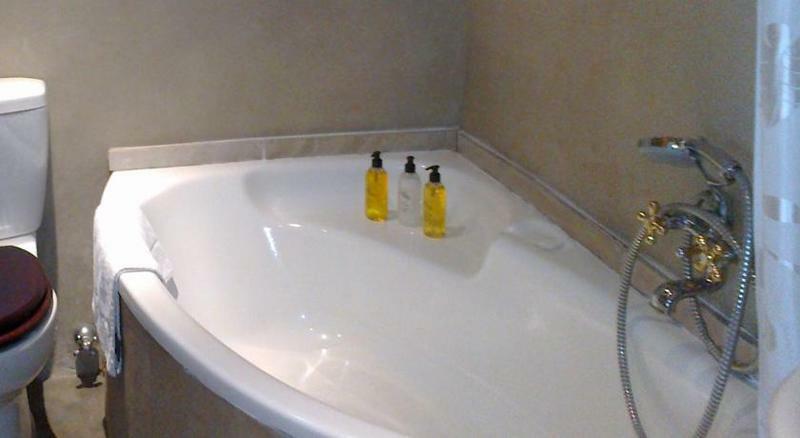 We had a sea view suite with a jet tub on the patio & a gorgeous clawfoot tub in the bathroom... yet while we were there, Cape Town was in a water shortage.. sooo we didnt feel right about using the tubs... but the room was still $$$$ even though we didnt use our amenities. Not haappy about that (they didnt say we couldnt use them) but there are signs everywjere requesting you not to have baths to help save water. So I didnt feel right about it. . .
Only if they could have means to run a live 24 hour kitchen in the hotel itself. Location is superb. Staffs are all extremely friendly and always check with us how was our stay & asking if we have plans in capetown. We had a lovely stay, much better than expected. It is our 4th time back and again not dissapointed at all. Parking can be a slight problem as there are limited parking available but apart from that always good to go back. The view. The friendly staff. The beautiful rooms. This is an amazing hotel. Friendly, clean and just wonderful. I had a lovely time. Good stay with very friendly staff. Prepared good breakfast and very spacious rooms. The hotel was located within walking distance of the beach, a number of lovely restaurants and the tourist hop-on/off bus-stop. I found all staff to be incredibly helpful, especially the hotel manager in making dining recommendations and providing directions, etc around the area. The room itself was really nice, spacious and clean. It was located on the first floor near the reception/dining area, however noise levels were minimal (though this may have been because there were fewer guests at this time). The view from the sea-facing balcony was great. All in all, I had a really pleasant stay at this hotel and would recommend it highly. I defitinitely recommend this hotel. The room we stayed in had a so much light and fantastics views into the ocean. Perfect place to watch the sunset. The bedroom was clean , bed very comfortable. There is a spare shower so you can check out and then shower before you leave for the airport with your bags. About a 2min walk to the beach. Staff were very helpful and went out of their way to accommodate our requests. Will definitely use them again. We stayed in room 10. Our advise is request room 9 for better view of mountains to the north. Room was comfortable with great balcony and ocean view. The in-room stereo must have been 20 years old and the TV was poor quality. We had a private jacuzzi outside on our balcony. When we filled it up and turned it on, the water that had been inside the pump and piping was gross, so we ended up having dump it and refill it, but had basically used up all the hot water by then; so overall not a good experience. For some reason, the beds were set on a platform that was raised about 15 cm higher that the rest of the floor. I almost busted my a$$ on two occasions getting out of bed! Friendly staff and great location. Would probably stay there again. Price is good compared to most place in Camp's Bay, which in our opinion is over-priced and over-rated. Tired room needs a makeover. Gave this feedback and received no response from the hotel. Staff are very nice and friendly but room cleaning was late on check-in and the following day. 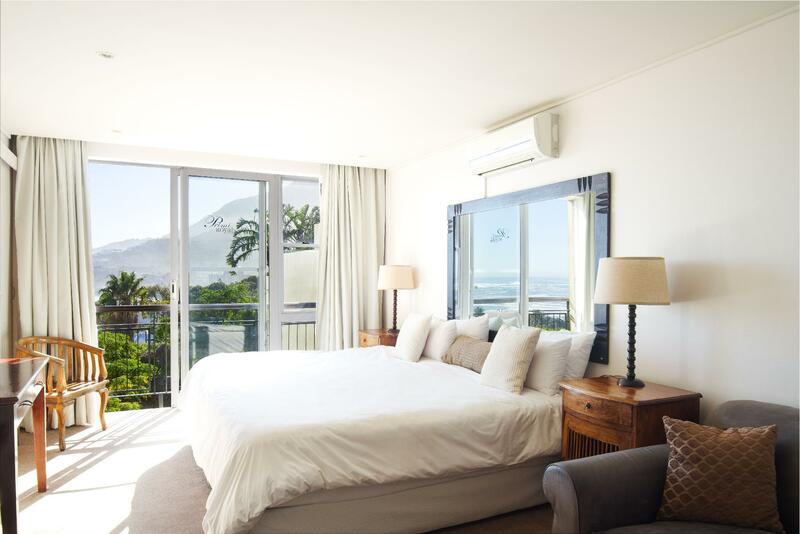 I have stayed in nicer places in Camps Bay for this price and will use those in future. Positives are the location and exceptional view. And breakfast was delicious. We really enjoyed it. Would have loved to stay longer.